What Can You Do With A Drunken Sailor? We’re 24 hours from July 1st, the beginning of NHL free agency and one of my favorite days of the year (don’t judge). It’s a time of excitement and anticipation for fans around the league. But for fans of the NY Rangers, July 1st is a day we’ve also come to approach with a very healthy dose of fear, anxiety and abject terror. Why, you might ask? GM Glen “Slats” Sather, that’s why. Glen Sather on July 1 is like a drunken sailor. On shore leave. With money. This year’s crop of UFAs is not great. There’s few players that any team is truly excited about. There’s a couple of decent forwards and defensemen, a few goalies…and Brad Richards. Dallas’ Brad Richards is far and away the marquee star available. Anyone looking to make a huge impact on their team, and who has the cap space, wants Brad Richards. And Glen Sather has been salivating at the prospect of signing Richards for months. It’s the worst kept secret in the entire league. 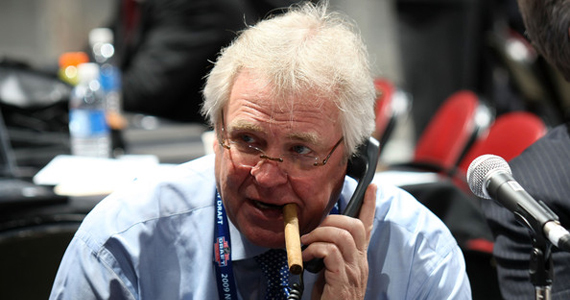 Sather wants Richards, and he wants him badly. But here’s the thing. I Don’t Want Brad Richards. I don’t. At least I think I don’t. I’ve had my mantra for weeks…pleasedontsignbradrichards, pleasedontsignbradrichards. I’ve tried to rationalize it: He wouldn’t be a good fit with this young, newly gritty and grinding Rangers team. He’ll falter in the glare of the NY media spotlight. He’s on the wrong side of 30. He’s recently concussed. This is what I’ve been telling myself and others. But now, just a few days away from the possibility, I have to admit something about Richards. Honestly, he’d be great! He’s an All-Star center (Hosanna! ), a legit power play quarterback (Hallelujah!!) and he’s already captained a team to a Stanley Cup (with current Ranger coach John Tortorella back in in Tampa). So I should be jumping for joy, giddy at the prospect. So what’s the problem? Will Richards do this with the Rangers? Sather. Sather’s the problem. Slats the Drunken Sailor + UFAs is always the problem. If you look at a list of the Top Ten Worst Free Agency Signings in NHL history, Slats is sure to have at least 2 slots. Maybe more. Let’s have a look, shall we? July 1, 2008 – Wade Redden– 6 years, $39 million. Every single person in the league is still laughing at us for this one. Everyone. And deservedly so. After two woefully bad seasons with the team, the Rangers essentially gave up, sending Redden to the minors. Yep, they’re paying him $6 million dollars a year to ride the bus in the AHL. Awesome. July 1, 2009 – Donald Brashear. DONALD BRASHEAR?!?!?!?! Are you f*ing kidding me? No, not even Sather is that stupid. That, by the way, is exactly what was uttered by every Ranger fan when the Brashear deal was announced. Oh, and Donald played only half of that season, and is currently employed as a Mixed Martial Artist. Fun! 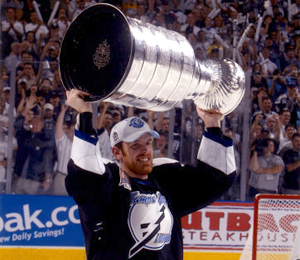 2002 – Bobby Holik – 5 years, $45 million. This contract was considered so ridiculous by the NHL that it played a large part in the salary cap that was instituted following the 2004 lockout. Way to go, Slats!!!! When Ranger fans look at a prize player like Brad Richards and remember recent Ranger history, we get all kinds of twitchy. We see marginal players getting inflated contracts. We see good players who somehow come to NY and fail. We see ridiculous deals that make absolutely no sense to any other team, any other GM or any other sport. So yes, I’m scared to think about signing Brad Richards. Listen, if we could get Richards for a decent amount of time and/or money, I’m all for it. But that’s not how Slats works. Oh, no. Even if there’s no real competition for Richards, even if the Rangers are far and away the only team willing to meet his demands, Glen will find a way to OVERPAY. Just ’cause. Richards is only asking for 5 years? Glen will give him 6, maybe 7. Just ’cause. Richards would take $7 million? No no, Brad. Take something extra, you’ve earned it, and I’ve got a reputation to maintain. A reputation as the most foolishly insane free agency buyer in all the land. Would the Rangers be better with Brad Richards. Absolutely. Are we likely to feel slightly ill about all this come Friday? Undoubtedly. We know Richards is coming. Everyone in the entire league knows he’s coming. And they’re all ready to laugh at Sather (and us). Again. Our GM is on the wagon, but we’re pretty sure he’s about to fall off.